Featuring members of Ghoulgotha, the rising force known as Ascended Dead first hit the San Diego underground with their release Demo I (Ascended Dead) in 2012. The demo has been met with positive praise among the legions of death metal fanatics, and 2014 has seen the release of their follow-up EP, Arcane Malevolence, through the Blood Harvest record label. 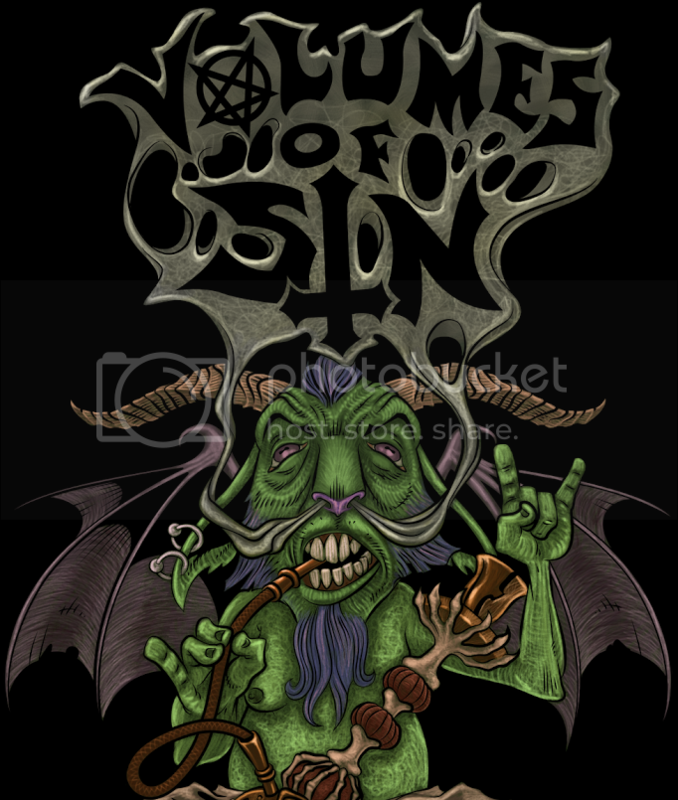 The last couple of years have seen an increase in old school death metal revival bands and albums crawling out of the woodwork. As with many fads, the unfortunate side effect of such a high concentration of the same content ends up compromising the entire effort. Many releases have seen little variation in their collective compositions, which has resulted in the phenomenan to become tediously tiresome. Though once in a while there will be an album worthwhile, brimming with ingenuity; luckily, Arcane Malevolence is one of the unique, visceral releases. The EP is comprised of old school death metal revival material, though the creativity from Ascended Dead drips like potent venom from every virulent element. The composure of each track takes unforseen turns every 30-40 seconds, refusing to let itself become an amorphous monotonous blob of dry, stagnant sound. However, there are still grounding riffs and drum work that the material brings back continuously to provide cemented song structuring, all the while the bass dynamically quakes through the mid-ground. 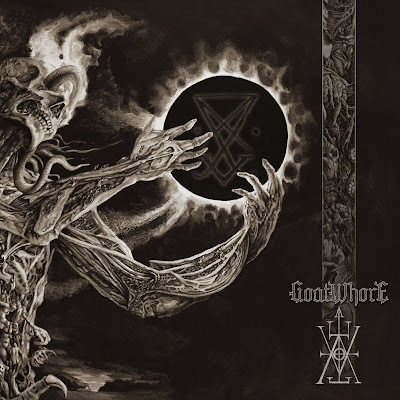 Reminiscent of early Death and other 1980's death metal, though much faster and excrutiatingly more technical, the album has low quality audio that's coupled with a prominent reverb. The reverb effect picks up the grainy scream vocals and carries them with emphasis through the cavernous tunnels of audio; this helps to make the sound more three dimensional, giving an all over depth to the content. Two of the more worthwhile mentions are "Ensnared for Eternity", the most elaborately composed track of the material, and "Blood Consecration" for it's valuable construction and simplistic catchy segments. Among the few chords and blast beats are highly technical skill sets that extend to every instrument. The lead guitar shows off the most extravagantly by shoving fluid solos into tight fit areas and stealing the spotlight with absurdley fast hammer ons, pull offs, sweeps and taps. The drumming is executed with a modern technicality and comes in at a closer runner up to the guitar; with creative patterns that utilize every part of the kit's available arsenal. Drummer CK is exceptionally proficient in filling the void with fast bass kicks while keeping his percussion hits in sync. If you're in the mood for some incredibly, skillfully executed, technical old school death metal, then the wizardry within Arcane Malevolence is here to fulfill your craving. 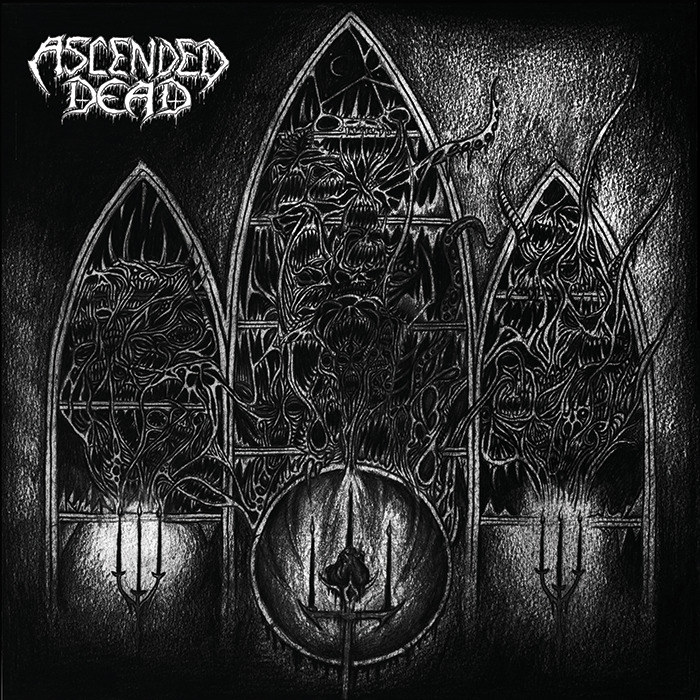 Ascended Dead have proven their worth in this increasingly popular revival onslaught through four furious tracks of unrelenting, speed infused death metal with a slightly blackened quality.